"May he support us all the day long, till the shades lengthen and the evening comes, and the busy world is hushed, and the fever of life is over, and our work is done. Then in His mercy may He give us a safe lodging, and a holy rest and peace at the last." Funeral Vigil, Mass, and Interment so powerful and moving. Consider supporting the Fr. 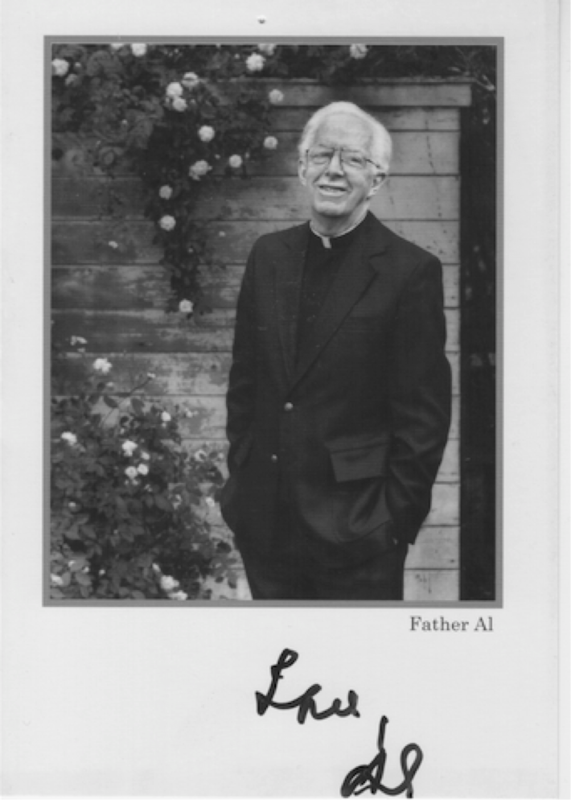 Al Campus Ministry Fund to keep alive his legacy of proclaiming God’s loving presence at Berkeley. Click here for more info on the Fr. Al Fund.